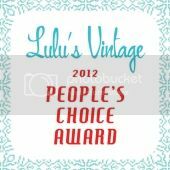 Have you started your holiday shopping yet? There are only 44 shopping days until Christmas, you know. Don't want to think about right now? Neither do I. Instead, enjoy these choice offerings from the Macy's 1982 Christmas catalog with me. Adolfo's natural Canadian Lynx fur coat adorned the cover. "Surround her in its opulence - and keep her forever beholden." Say what??? I don't think so! Coat sold for a mere $12,000 in 1982 (about $26,500 in today's dollar). He wears a Bill Blass tuxedo. 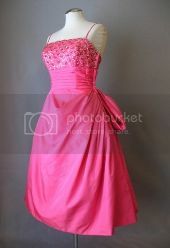 Cotton velveteen full skirted dress by Norma Kamali. Sold for $196 in 1982 (about $433 in today's dollar). 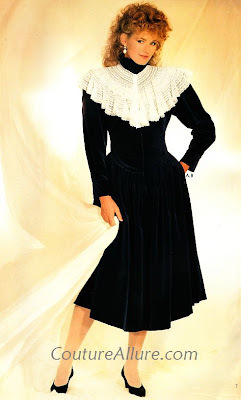 The lace collar sold separately for $28 (about $62 in today's dollar). 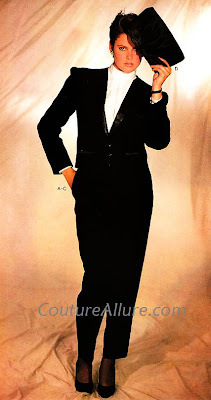 Unfortunately, a page is ripped out of my catalog so I can't tell you who this tuxedo was designed by, but check out that boxy jacket and tapered pants. Weren't we something? Bill Tice polyester lounging pajamas with an oriental motif. Sold for $125 in 1982 (about $276 in today's dollar). 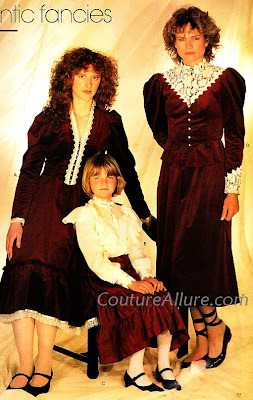 For the younger set, romantic Gunne Sax separates in burgundy velvet or taffeta. 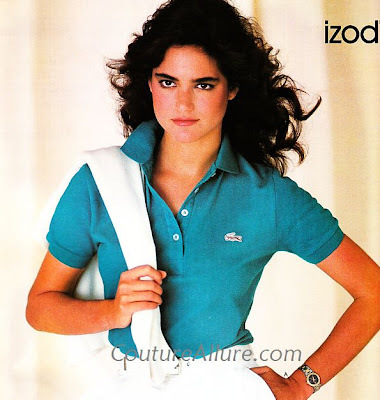 And, honey, if you didn't have at least one Izod polo shirt in your closet, you were not a proper fashionista! Popped collar required. Cardigan thrown over the shoulders optional. Mad Men Predictions - How'd I Do?